New York did not disappoint. 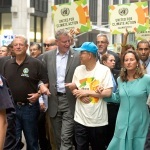 The state showed off its green energy cred in a big way this week as hundreds of thousands of climate marchers made their way through Manhattan, and United Nations members convened to talk about greenhouse gas emission goals. With the spotlight on for ‘Climate Week,’ New York produced several pieces of green energy news likely to influence microgrids, among them. The New York State Energy Research and Development Authority (NYSERDA) proposed a $5 billion Clean Energy Fund to advance cleaner, more resilient and affordable energy. The program includes a wide range of energy efficiency and renewables programs, including microgrids. The plan is designed to advance the state’s move toward more local energy, its Reforming the Energy Vision, or REV. About 70 companies and organizations submitted written comments to the state about REV, in hopes of influencing the final shape the new distributed energy market takes as the New York Public Service Commission works on its rules in the coming months. REV is expected to spur more microgrid and distributed generation in the state. New York City committed to reducing its greenhouse gas emissions by 80 percent over 2005 levels by 2050, a plan that includes energy efficiency retrofits for public and private buildings, more renewables and less fossil fuel use. New York says it is the largest city to commit to the 80 percent reduction by 2050. Here are more details on each of these initiatives and what they mean to microgrids and distributed energy. First, NYSERDA’s $5 billion fund distributes the money over a decade as the state weans clean energy, where possible, from state subsidies. The plan is not so much a new one, but a reconfiguration of New York’s energy efficiency and renewable portfolio standard programs that end in 2015. It encompasses the entire clean energy supply chain – researchers, developers, equipment wholesalers, financial institutions, building managers and construction contractors and consumers. Keep up on microgrids in New York and worldwide by following us on twitter @MicrogridNews! Echoing REV, the plan tries to animate the market and bring more private dollars into clean energy. Such animation already is present for home automation technologies, with companies like Apple, Google, Honeywell, Samsung and others selling smart thermostats and similar equipment. The market also has taken off in solar and other forms of distributed energy that use the power purchase agreement model, which spares businesses and consumers upfront costs for installations. Of course, not all barriers to clean energy are financial. Regulatory blocks and delays also are holding up development. To that end, the program will work with utilities to identify and remove the barriers, NYSERDA said. NYSERDA intends to align its programs with REV to reduce market confusion and meet long-term state goals. Microgrids come into play as the state tries to increase storm resiliency. In particular, the plan notes the need to install microgrids that can island portions of the grid using distributed energy and advanced controls. Doing so will mean creating regulatory reform that offers time-sensitive rate options, evolution in utility planning models, and alternative regulation of community microgrids, NYSERDA said. It also requires an evolution in technology, particularly digital microgrid controls, automated distribution system controls, communication protocols and data analytics and asynchronous inverters. The Clean Energy Plan intends to support advancement of these technologies through various strategic initiatives. The full plan is here. In the REV proceeding, the New York Independent System Operator contributed a report that provides a look at the distributed energy landscape in the state. 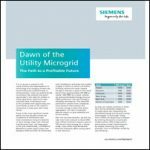 Prepared by DNV GL, the report noted that microgrids are a growth technology. 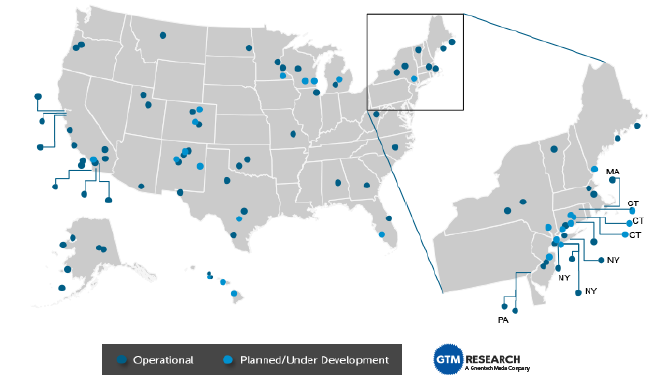 GTM research found 81 operating microgrids and 35 more planned in New York, the report said. Nationally, about 1 GW of microgrids has been installed so far, ranging in size from 1 MW to over 50 MW. Navigant Research estimates the number will grow to more than 2 GW by 2017. More information about New York’s microgrid market will come out when an emergency preparedness study is completed by the PSC, NYSERDA and the Department of Homeland Security and Emergency Services. The report will detail policy, technical, and economic issues around community microgrids in the state of New York. In addition, New York State Smart Grid Consortium is compiling a database of microgrid projects in New York. 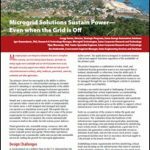 Microgrids can be used to support resource adequacy, as demand response now is, the report said. In long-term energy plans, the state and utilities should give “clear and comparable consideration” of microgrids, distributed generation and storage as an alternative to building new transmission. Last, the city of New York City Mayor Bill de Blasio put forward the 80 percent greenhouse gas reduction goal, which includes a 10 percent reduction in building-based greenhouse gas emissions and $8.5 billion in energy cost-savings over ten years. The plan includes several microgrid-friendly components. About 3,000 buildings – all of those owned by the city will be retrofitted within the next ten years. In addition, the city intends to install 10 MW of solar on more than 300 city buildings and adopt various cutting edge energy technologies. Three quarters of New York City’s greenhouse gas emissions come from energy used to heat, cool, and power buildings. Gov. Andrew Cuomo designated the week of September 22-28 as Climate Week to encourage New Yorkers to think about the challenges of a changing climate, as well as to highlight the progress being made to prepare New York should it be hit by another Superstorm Sandy.